The first official images of the Jaguar F-Type SVR have been revealed, following leaked brochure images last week. 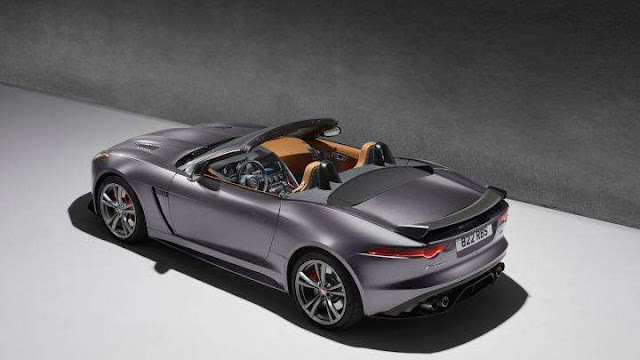 Jaguar has confirmed that the new, fastest version of its flagship sports car will make its debut at the Geneva Motor Show in March. 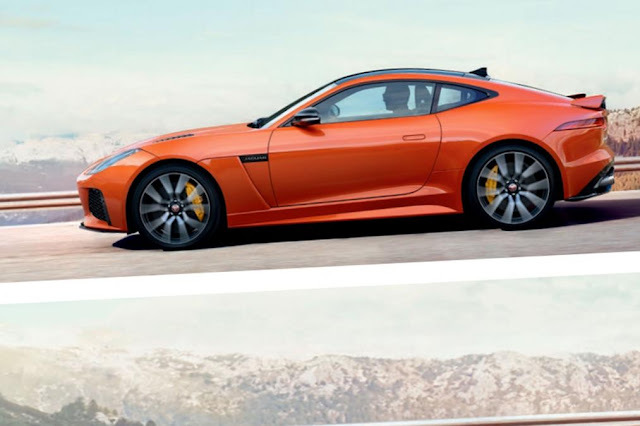 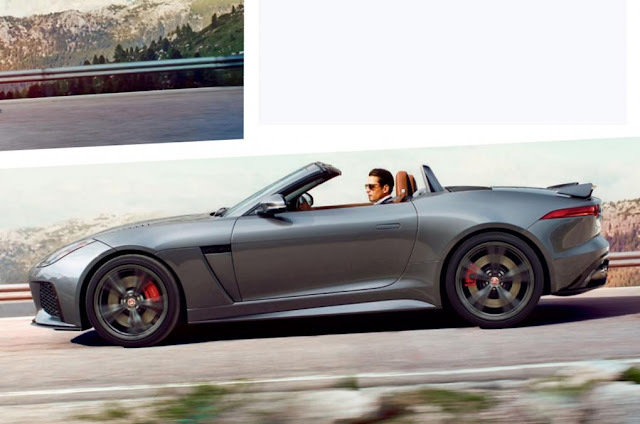 The F-Type SVR will be available in both coupe and convertible body styles. 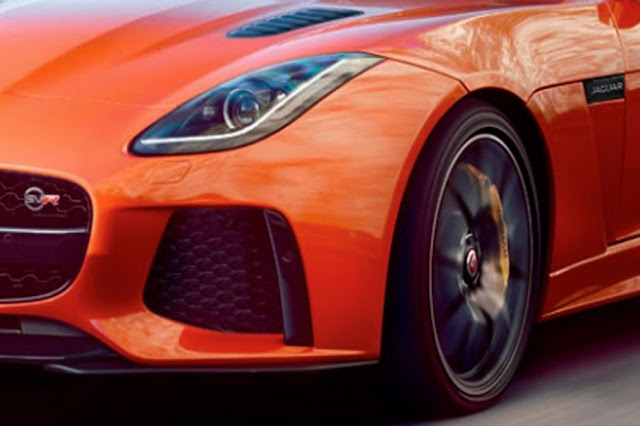 The new F-Type SVR will use the same 576bhp supercharged 5.0-litre V8 that powered the limited-edition Project 7 sports car launched last year. 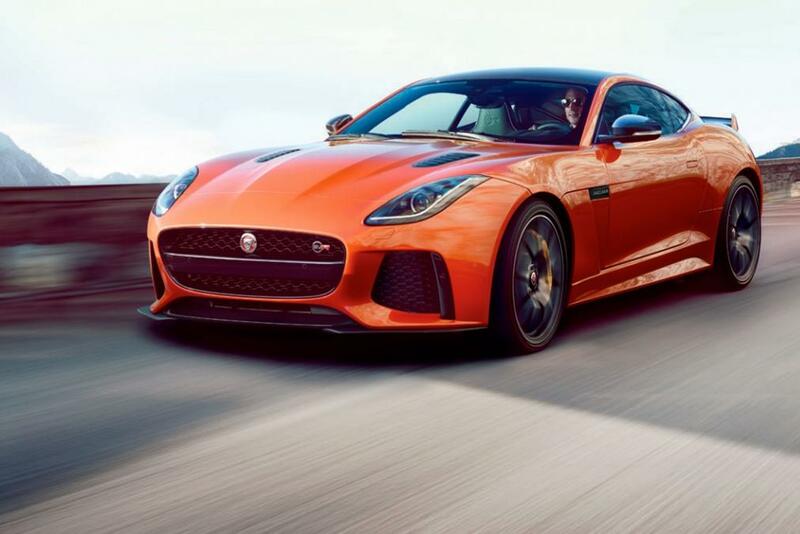 Power will likely be sent to all four wheels via Jaguar's familiar eight-speed automatic gearbox. 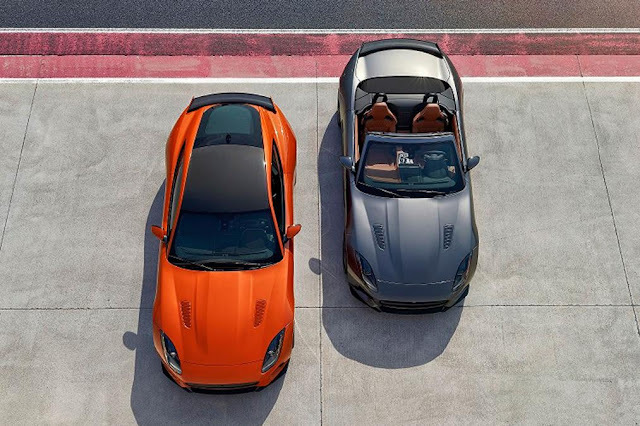 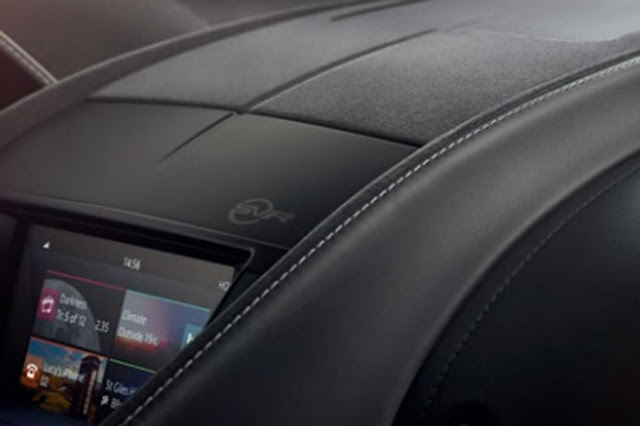 F-Type from 0-62mph in just 3.7 seconds and on to a confirmed top speed of over 200mph. 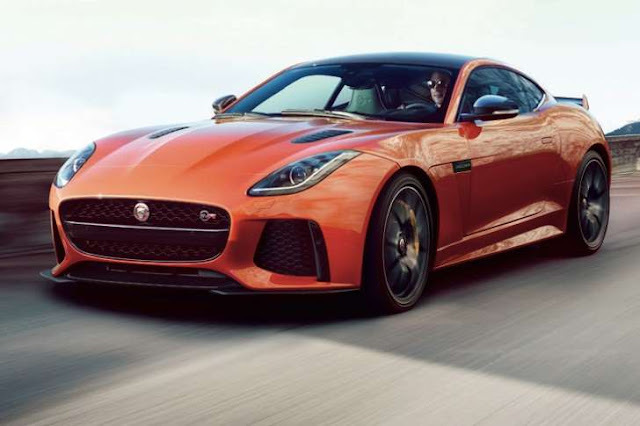 This is significantly faster than the current F-Type R, which tops out at 186mph and does the 0-62mph sprint in 4.1 seconds. The F-Type SVR will be available in both convertible and coupe bodystyles – as well as having some styling and aerodynamic upgrades over the standard car. Most noticeable are a large rear boot spoiler and jutting front splitter. 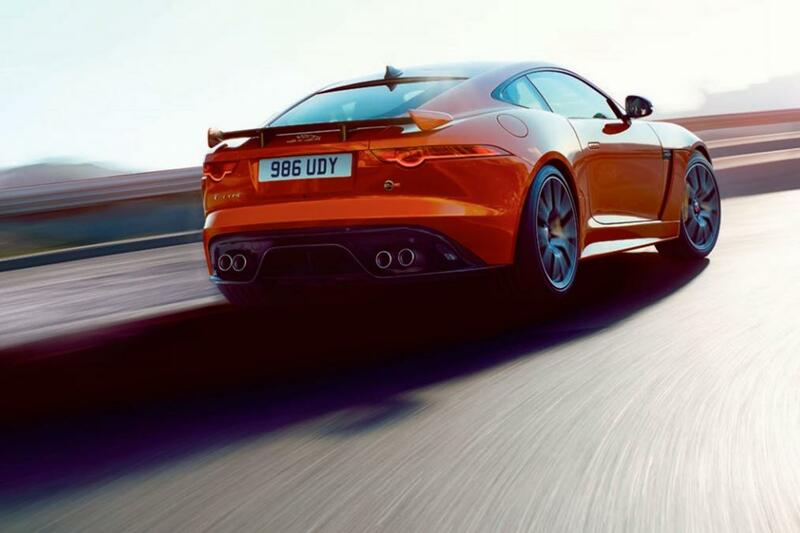 The latter can extend if you want more grip at high speed, or retract if you’re after a more aerodynamic car. 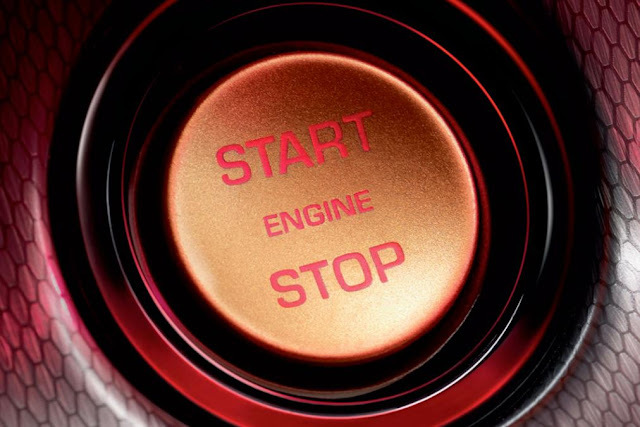 That's the setting you’ll need if you want to reach the 200mph top speed. Only the coupe will manage this, however: the convertible will top out at 194mph. 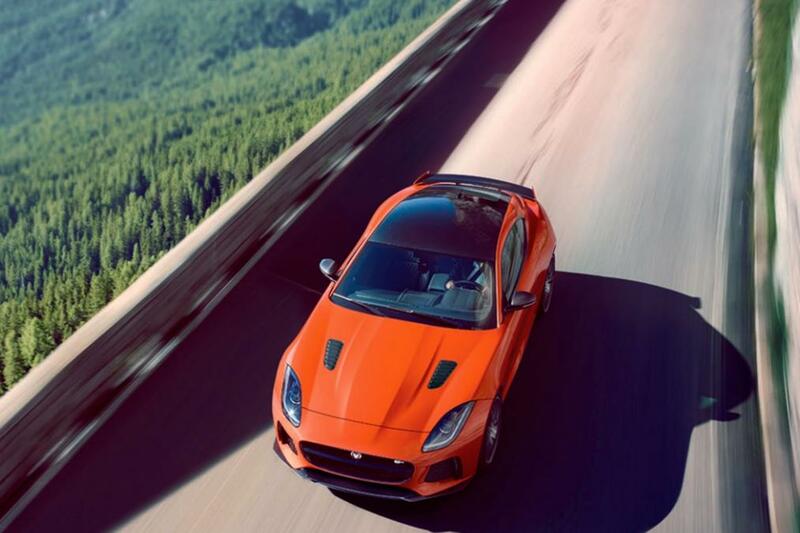 There are also larger air intakes to provide more cooling for both the engine and the new lighter, more powerful carbon-ceramic brakes. 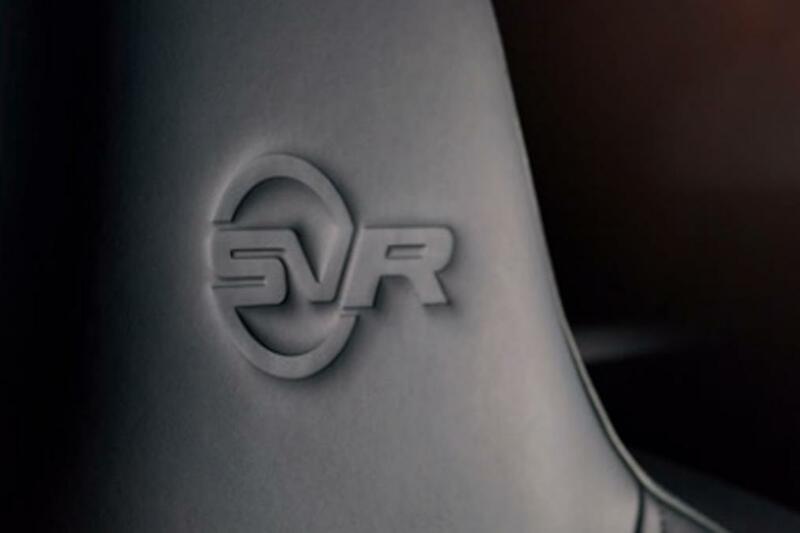 Inside, the SVR will get a new steering wheel with aluminium gearshift paddles and quilted leather sports seats. 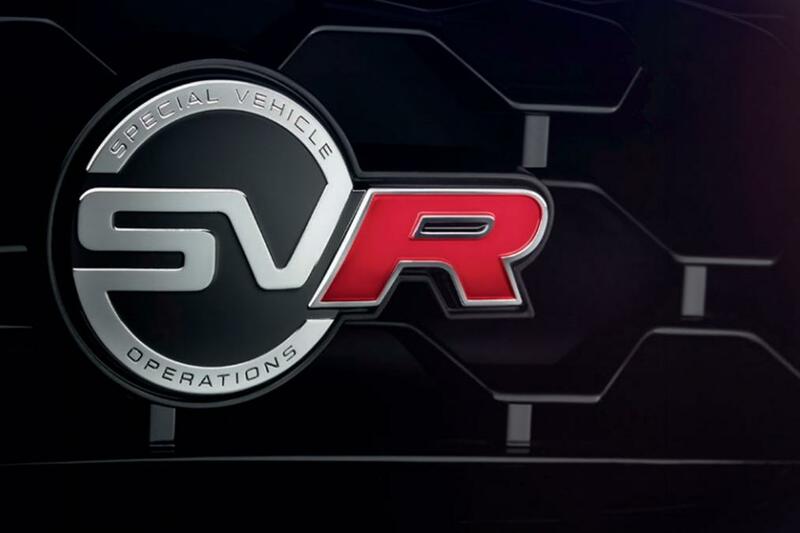 The brochure pictures show contrast stitching on the dashboard and SVR logos dotted round the cabin. 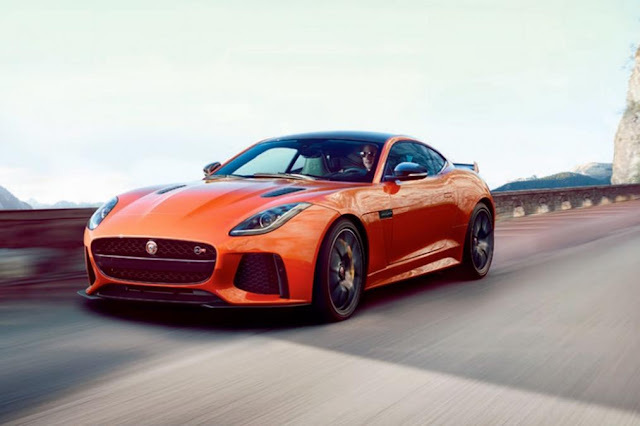 Jaguar insists the SVR will be significantly lighter than the F-Type R, thanks in part to the carbon-ceramic brakes, which save around 21kg compared to the standard cast-iron setup. 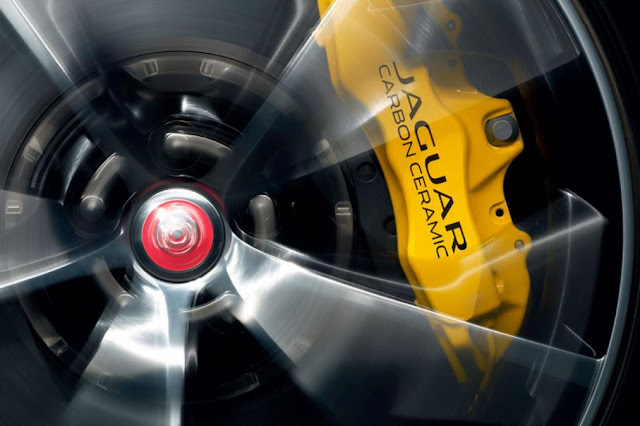 The car also gets a new Titanium exhaust system that saves around 12kg, as well as making it sound unique. 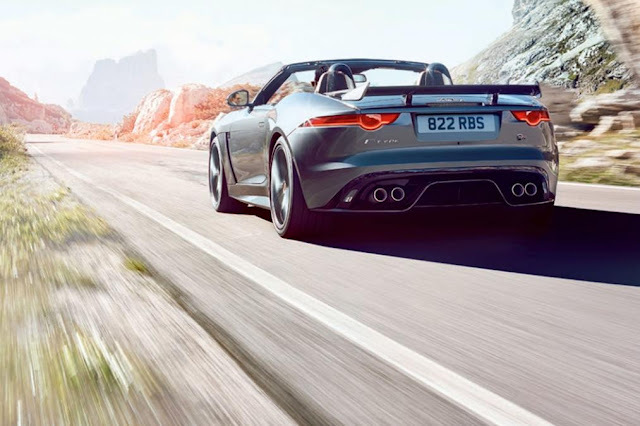 The hotter F-Type will feature stiffer suspension, too, to help it perform better in corners. There's no official word on pricing yet, but the SVR is likely to be considerably more expensive than the F-Type R, which starts at around £91,000. 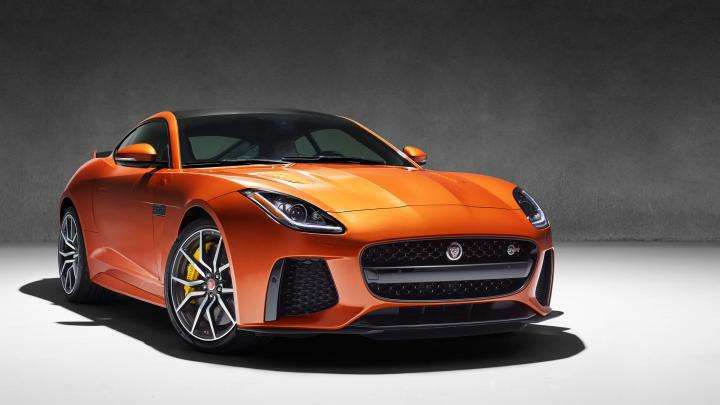 So it’d be sensible to presume the new car will start at more than £100,000. The F-Type SVR is set to make its public debut at the 2016 Geneva Motor Show and further details of the new car will be released in February, including full technical specifications.